Kauniste Spring / Summer 2018 collection is a tribute to Helsinki. Over the past 10 years since we founded Kauniste, Helsinki has given us many reasons to be thankful. Not only the many illustrators and artists we have been able to work with over the years, but also the inspiring and encouraging culture we have been surrounded in. To celebrate our beloved city, we worked with local illustrator Marika Maijala to commemorate our favorite places in Helsinki. It's our favorite tote bag with the round corners & extra stitching on the handles to make sure it's durable. Our trays are made from ecological Nordic birch veneer. You can wash them conveniently in the dish washer. 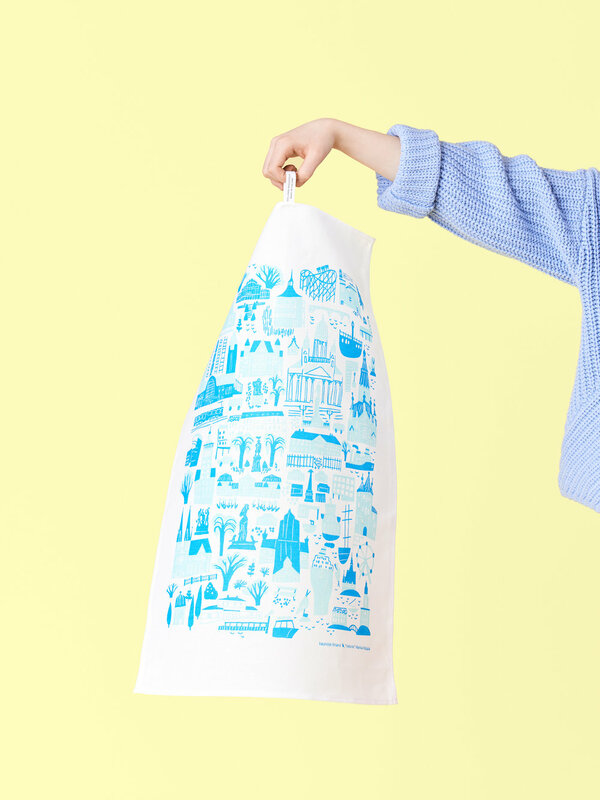 The kitchen towel features our favorite scenes from our beloved city. It is printed in Finland with water-based, non-toxic inks. This apron brings the city views into your kitchen. It's a one size apron with two big handy pockets in the front. Our fabrics are 55% linen & 45% cotton. It's perfect for curtains, table cloths or your weekend DIY moments. The fabric width is 150cm. 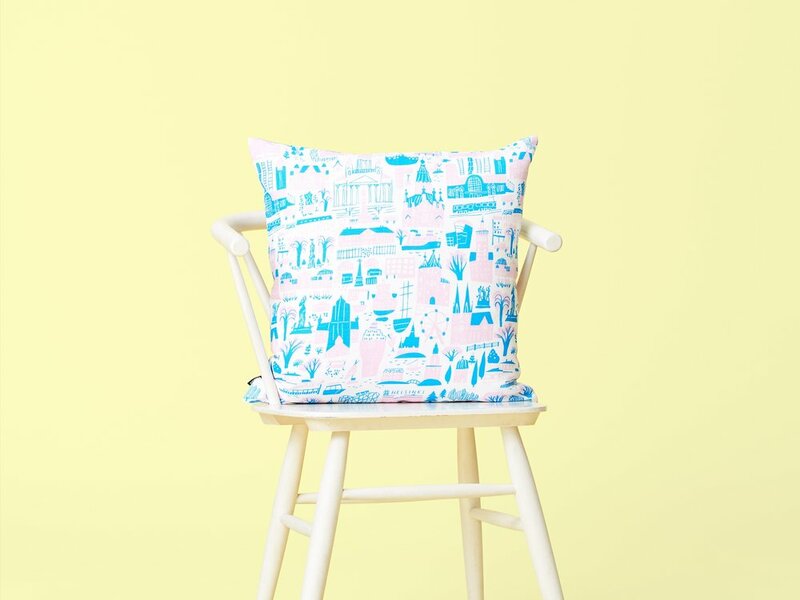 The cushion cover is made from our signature linen & cotton fabric. 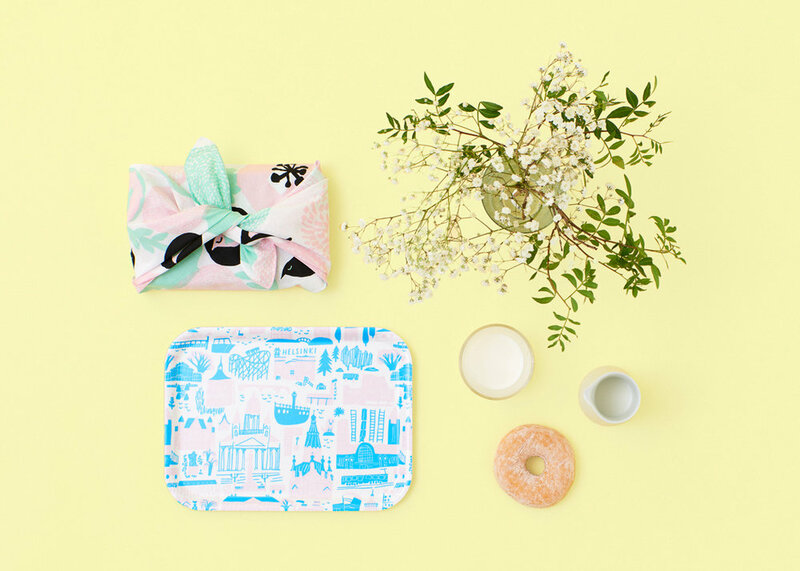 It has a hidden zipper at the bottom and it's perfect for an inner cushion size 50cm x 50cm. You can always come up with a reason for getting a cute pouch! The pouches have a metal zipper and a pink cotton lining with printed birds.